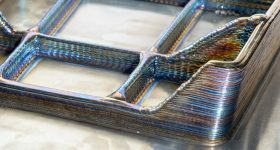 Millions of pounds have been contributed to establish an Autodesk Advanced Manufacturing Facility (AMF) in the city of Birmingham in the UK. 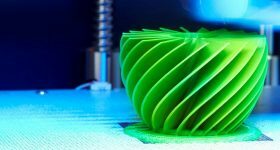 The AMF is Autodesk’s sixth technology center in the world, joining the likes of Australia’s Materials Lab, and the Pier 9 workshop in California. 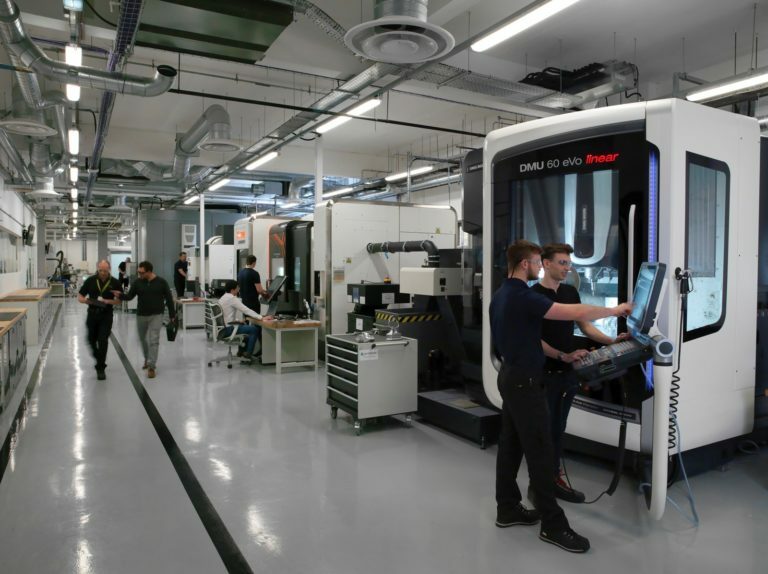 It is equipped with all the latest automated manufacturing technologies, including Renishaw metrology systems, ABB and KUKA robotic arms, and a hybrid CNC/metal 3D printer from DMG Mori. By applying Autodesk’s software expertise, the facility will showcase the value of intelligent Internet of Things (IoT) solutions for Industry 4.0. 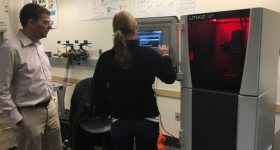 At the AMF, Autodesk partners and customers can explore new machines and potential manufacturing solutions such as human-robot collaboration. 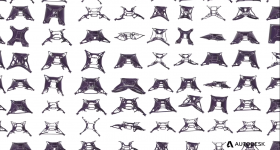 Inline with Autodesk’s expertise, Big Data is at the core of all projects. 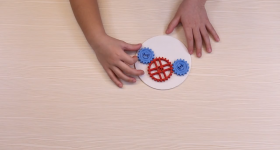 Cloud based platforms, such as Autodesk Fusion Connect, are showcased for value to the production workflow. The Fusion Connect service automatically generates performance data, allowing users to identify potential product failures before they happen, and adapt quickly to change. An example of machine monitoring is handily illustrated by a widget on the AMF’s microsite. 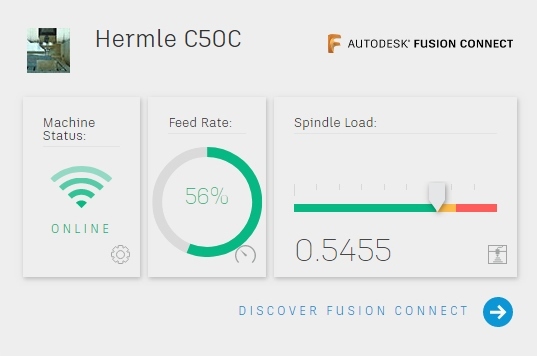 Connected to the center’s Hermle C50C 5-axis milling machine, Fusion Connect gives live readings of the machine’s status (online or offline), feed rate and current spindle load. Aerospace is a key market for the AMF. The center has AD9100D aviation certification, and UK-based centers for BMW and GKN Additive are already confirmed collaborators. An airplane propeller blade is one of the facility’s confirmed project which has been made using hybrid additive and subtraction manufacturing. 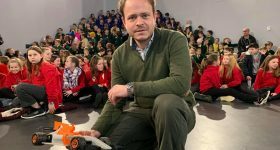 Through its STEM Ambassador Network, Autodesk will also be working with local universities and research institutions, including the University of Birmingham, and Coventry’s Manufacturing Technology Centre (MTC) which we visited earlier this month. Through the MTC, Autodesk is also connected to over 100 other industry experts including Rolls-Royce, Siemens and Altair. 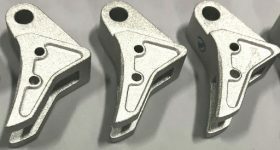 Birmingham-based CAD/CAM company Delcam was also acquired by Autodesk in 2013 for an undisclosed multi-million pound sum. 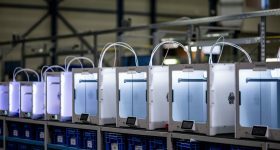 Stay up to date with all the latest 3D printing business news and subscribe to the most widely read newsletter in the industry, follow us on Twitter, and like us on Facebook. Is Autodesk a contender of 3D Software of the Year again in 2018? Make your nominations in the 2018 3D Printing Industry Awards now. Nominations close in one week. Looking for new opportunities to showcase your creativity? 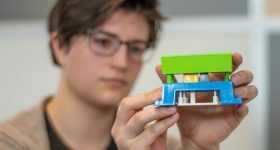 Protolabs is sponsoring the 2018 3D Printing Industry Awards design competition. Submit your entries now.